Welcome to the November 2017 Lenscraft Newsletter. I mentioned at the end of the previous newsletter that I didn’t expect to be publishing in November, as my daughter is getting married. She still is but fortunately I managed to find time to write about a few points you may like to know. If you want to read any of the past newsletters, you can find them in the Newsletter Archive on Lenscraft. Trig Point on Saddleworth Moor at Storm Brian approaches. The conversion to B&W was using Nik Silver Efex Pro but the dodging & burning was done in Lightroom CC using the new luminosity masking feature (Range Masks). I created a short You Tube video to demonstrate this as it’s useful. The other breaking news in case you haven’t heard is that the Nik Collection will now live on. The Nik assets have been purchased from Google by DxO. 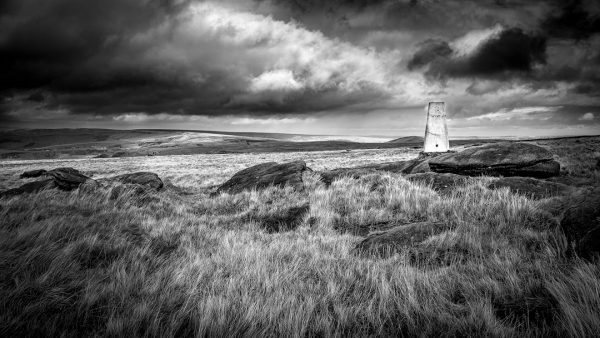 I posted a short blog about this with a couple of useful links on the Lightweight Photographer blog. I wanted to say thank you to everyone for your continued support. 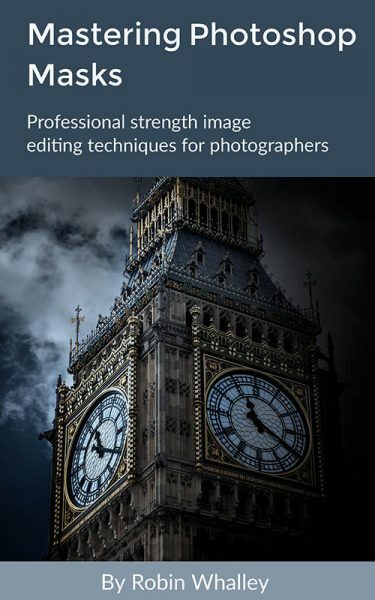 My latest book “Mastering Photoshop Masks” made it into a couple of Amazon best seller categories in the UK and has received several great reviews. I really appreciate people taking the time to add the reviews as it makes a difference. It also means I can continue to produce affordable books and training material. In the previous newsletter I asked for help in deciding on the next book/course I should develop. The results are now in and the poll is closed. There were 207 votes in all. The “Lightroom Develop Module” option took top spot with 42% or 87 votes. Second place went to “Affinity Photo for Photographers” with 23.7% or 49 votes. 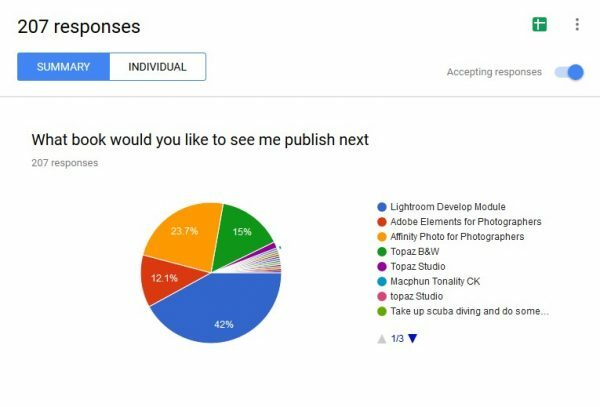 Based on these results I have decided to develop both the Lightroom and Affinity Photo books over the coming months. Which comes first will depend on my motivation as that tends to make for a better book. I will let you know as soon as I have decided. 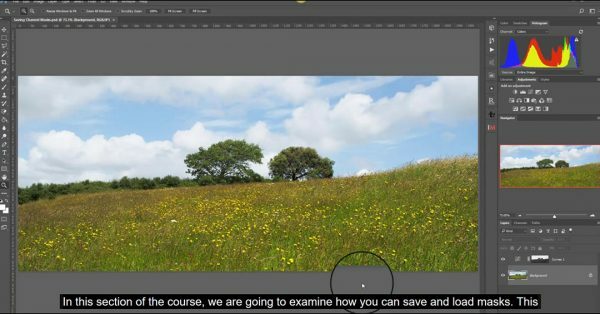 Following feedback from a few of you, I’m going to experiment by including captions in my courses. I’m not sure yet how successful this will be, but I do want to try it. I understand the captions are helpful for viewers who don’t have English as their first language. I tried the idea on my future son in law (who has French as his first language) and he says it’s a huge help. If you’ve been a Lenscraft member for more than a year, you will know that I like to make a gift to all members at Christmas. This year is no different and I’m already hard at work developing this. I will be able to share more at the end of November, but I think I will surprise you this year. If you didn’t see last year’s gift, I made it freely available on my Lenscraft Training site. This year will be slightly different in that you will need to collect the gift before the 25th December. After this date, the gift goes on sale at the full price. I will be sending out an email to members when it’s available. A few people have shown interest recently in printing. One area that appears to get a lot of attention and causes confusion is choosing inkjet papers, so I created a new post on the subject titled Inkjet Paper for Photo Printing. If you’re wondering, I’m still publishing tutorials but a little less often. Instead, I’m trying to make them a little longer an include more information. This tutorial is a couple of thousand words long and contains a lot of tips. I hope you have a productive November and keep watching for news of the Lenscraft Christmas Gift.